In this episode, Robert and I discuss what happens when you rely too heavily on Facebook for content distribution. We also look at why GoPro closed its media division, and explore CNN’s partnership with a YouTube celeb to launch a new media property. 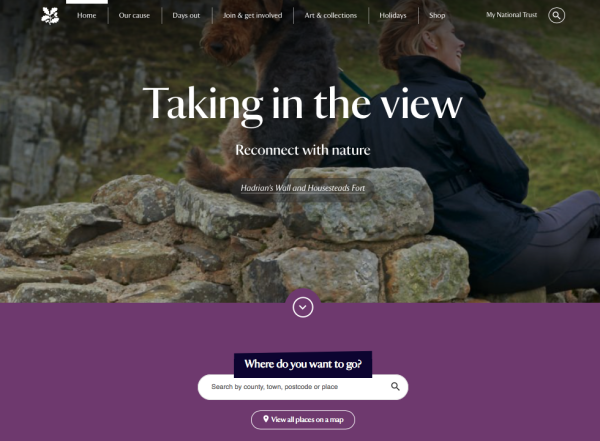 Rants and raves include Breitbart.com and the business case for leveraging content marketing as public relations; we wrap up with an example of the week from UK National Trust. 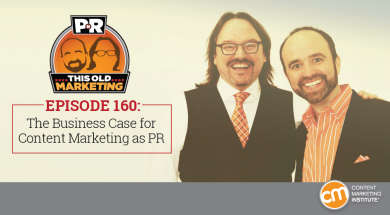 Download this week’s ­PNR This Old Marketing podcast. The Daily Mail takes a $31 million write-off on Facebook publisher fail (7:37): Elite Daily once cracked the code on using Facebook to generate clicks with high-volume, low-brow, dude-friendly content. But two years after purchasing it, the Daily Mail has written down its entire investment in the New York-based start-up, according to Recode. Robert suspects they are losing money because they are buying all their traffic; and I believe the lesson to be learned here is that you shouldn’t count on your rented traffic before it’s been reliably monetized. GoPro cutting 15% of workforce, closes entertainment unit (18:05): Bloomberg Tech reports on the news that the action-camera maker is struggling to turn a profit and will shut down its entertainment division as a way to both reduce costs and refocus on its core business. What bothers me here is that the company doesn’t seem to have invested enough time in producing content to expect to see returns yet. Robert and I also wonder when the process of communicating with your customers and delivering value will start to be considered the “core” of a business’ operations. How Casey Neistat used content marketing to make millions and then move on (27:03): The YouTube-famous video blogger has dropped the mic on his wildly popular vlog after his Beme app was acquired by CNN for a cool $25 million. According to this post on LinkedIn, Neistat’s decision to start a new media brand with the news net is a move to keep his work from getting stale, creatively. Robert and I admire the audience-first content model Neistat seems to have used to achieve his success and think it would make a great case study on how to build a content brand, and then become a valuable product of it. Intelligent Content Conference. 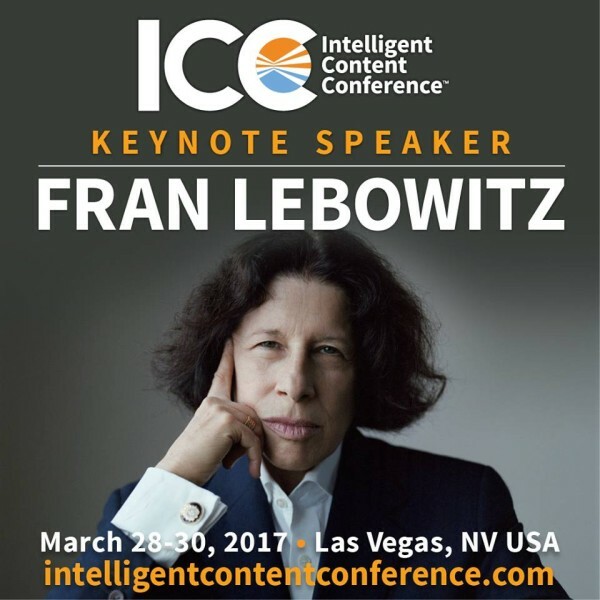 If you are serious about putting content to work in your business, you won’t want to miss this event – or our keynote speaker, iconic author and outspoken raconteur Fran Lebowitz. Learn how to set your content free from the copy/paste mentality and move toward a more agile, modular, and scalable approach to content creation and distribution. Early-bird rates fly away on December 17, 2016, so register today. Robert’s rant-esque commentary: The Wall Street Journal brings us a compelling article that speaks to how controversial content network Breitbart monetizes its site traffic, and the confusion its ad technology has spurred among advertisers who weren’t aware their content would be appearing on the site. It’s an issue that marketers should start paying a lot more attention to, as third-party syndication and promotion is poised to become a much bigger part of our online content strategies in the near future. Robert’s rave: Robert issued an enthusiastic rave about the great work being done by the Contently team, including this recent post on how publishers are posing a major threat to ad agencies’ dominance in the content services market. The article presents a thorough, compelling case for agencies to stop thinking about content as being separate from their account, strategy, and creative business if they want to remain competitive with publishers’ brand content studios. Joe’s rant No. 1: Related to Robert’s first story, I discus the fallout from Breitbart’s recent boycott of Kellogg’s due to a disagreement in values. 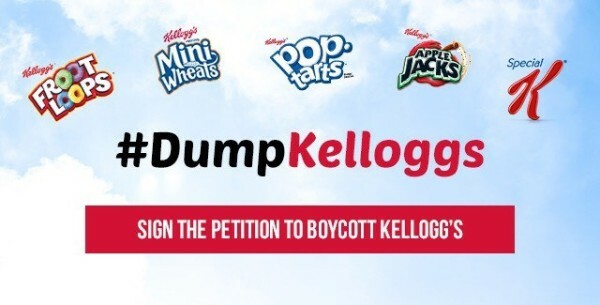 Breitbart issued a #DumpKellogs hashtag campaign as a counterstrike against what it perceived to be an “intense prejudice” on Kellogg’s part. Last time I checked, not advertising on a site could hardly be considered an act of discrimination. Regardless, I see brands increasingly needing to protect themselves from these types of power plays in the future, and wonder how Kellogg’s may have handled the situation if it had built a platform of loyal subscribers that could respond to the controversy on its behalf. Joe’s rant No. 2: Last week, Time Inc. and Hearst both announced some reorganizational efforts to save money and create editorial efficiencies. Digiday described Time’s decision to pool its editorial resources through the creation of digital desks, while Business of Fashion covered Hearst’s similar efforts to consolidate its editorial teams across multiple titles. I see both brands being hurt by these short-sighted moves, as any time you combine content niches to focus on a broader topical area, your relevance is sure to decline. If you aren’t familiar with the U.K.’s National Trust, it’s a really interesting organization. Founded in the late 19th century to preserve and care for the country’s historic monuments and properties, it has grown to become one of the largest charities in the U.K. I recently discovered that, in addition to fundraising, the organization publishes National Trust Magazine, which goes out to its 4 million+ members three times a year – and happens to have the highest magazine circulation in Britain (according to Wikipedia). Continuously published since 1932, the magazine has evolved throughout the years from a simple eight-page newsletter to today’s iteration – a full-on lifestyle magazine that covers modern living in the U.K. just as skillfully as it supports its mission to preserve the past. As a nonprofit that is creating unique value that’s separate from its own mission, it’s an inspiring example of This Old Marketing in action.